Organic gardens are gardens that produce plants and vegetables that are grown and handled naturally. There are many people who are understandably concerned about the chemicals that are sprayed on commercial fruits and vegetables and the additives they’re given to keep them fresh. We all know how fruits and vegetables are healthy for our mind and bodies, but what about those chemicals and additives that are placed on commercially grown food? They sometimes cancel out the benefits they provide because they cause damage to our systems. Organic gardening has come into play to ensure that we’re consuming fresh, natural foods to provide the necessary nutrients for our bodies. Organic gardening doesn’t use any chemicals or additives, so you can enjoy an all-natural diet. The commercially grown fruits and vegetables use chemicals to keep the insects and other pests away from the food and the additives are what keep them fresher longer from the harvesting field to a consumer’s table. The idea behind them is fine, but there are other ways to produce food for the population without tainting it with chemicals and additives. If you grow your own organic garden, you have the benefit of eating the produce right away, which would eliminate the need for any additives to be put in your food. 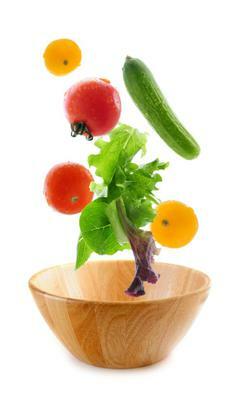 The fruits and vegetables will last long enough after you pick it until the time you go to eat it. There’s also no need for chemicals to rid the plants of pests. All you need to do is grow natural bushes and plants in your garden that deter some insects and attract others that will rid it of insects that would harm the food. There’s also no need to use artificial fertilizers to help the plants grow. You can use natural fertilizers that you can recycle over and over, keeping waste under control. All you need is leaves, grass clippings and table scraps to be stored for composting. One of the biggest advantages of having an organic garden is that because there are no chemicals used in your soil, there’s no danger to the plant life, wildlife, water supply, and humans. Organic gardening allows you to put food on the table for your family and know exactly what you’re putting on the table instead of just taking a chance that you’re not putting anything harmful into your family’s mouths. Take control and make sure your family is safe with the food you prepare for them. Do you want to risk harming them with traces of sprayed chemicals - or do you want them to benefit from the nutrients an organic garden provides? Learn more here in our online Guide for Choosing the Right Type of Gardening for You and Your Home Garden. : Gardening Tips For Beginners. You can also learn here about how to make your own tower garden to help you grow a vertical garden to save space and effort. P.S. Liked this how to do it guide? Be a sharer and spread the word on FaceBook or Twitter or G+.